Trading systems can be too hot or too cold, depending on a chart indicator's settings. Consider using two different Commodity Channel Index (CCI) indicators. Over the years, I've worked with a lot of investors trying to create technical trading systems. The Commodity Channel Index (CCI) is one that many try to incorporate into their trading. But as they change the indicator's settings, like Goldilocks's porridge, the experience feels either too hot or too cold. A lot of times “just right” occurs when two CCI's together are used to provide more trading signals with fewer whipsaws. CCI measures the distance between the stock price and its moving average. At first glance, you'll notice three horizontal lines—at -100, 0 and 100—that help signal changes in trend or extreme movements in the price. The setting used for the CCI sets the period length of the moving average—which reveals why it has trending properties. When you see it cross the zero line, it indicates a break of the moving average, or change of trend. A reading above or below &plus; /-100 could indicate a strong directional move. Using the 50-period CCI will give fewer, and more significant, signals than a shorter look-back period. However, this can also be frustrating, when watching a stock go up for weeks on end without receiving a bullish entry signal (based on the CCI crossing above 100). In this case, you'll probably find the porridge too cold. Conversely, a 20-period CCI gives more frequent indications of a trend change by crossing zero, and more bullish trading signals by crossing above 100. The sheer frequency of signals may burn the roof of your mouth. So use a small spoon. Using two indicators together—such as a 50-period and a 20-period CCI—will often provide more trading signals with fewer whipsaws. 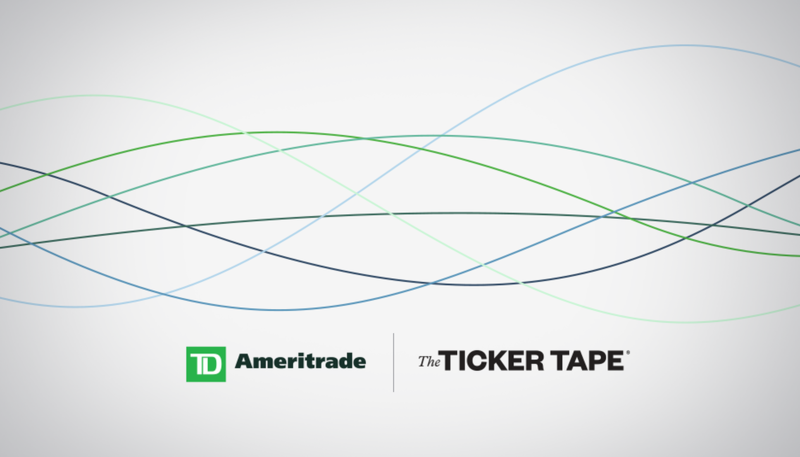 Chart from TD Ameritrade’s thinkorswim®. For illustrative purpose only and is not a recommendation. By combining both indicators, you're attempting to provide fewer indications of a trend change, but get more signals to enter a trade. The following table is a breakdown of two bullish entries using the CCI 20 and CCI 50, with the exit based on the CCI 50 crossing zero. 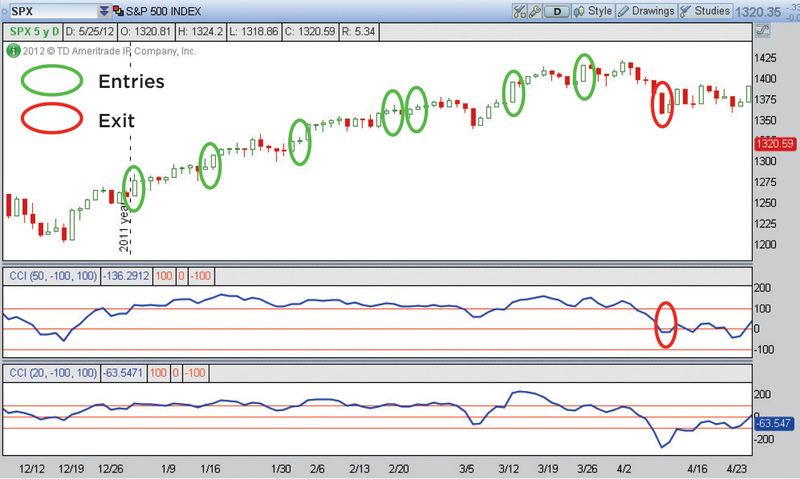 Following is a graph of the SPX, and indicates the entry and exit signals provided by combining the CCI 20 & CCI 50. You'll notice that the CCI 50 only provided three entry opportunities during the uptrend in the SPX from Dec 27, 2011, to the eventual exit on April 10, 2012. At one point, there was over a 2-month span without a signal. By adding the CCI 20, you'll notice five additional signals as the SPX bounced off support along the way. As a technician, you'll eventually find yourself in the Goldilocks position sampling different indicator combinations and settings. Ultimately, this simple system could be used to trade bullish or bearish trends depending on who's house you wander into. 3 Set “Trigger If:” drop down to “TRUE,” Click Create Alert, and you're done.